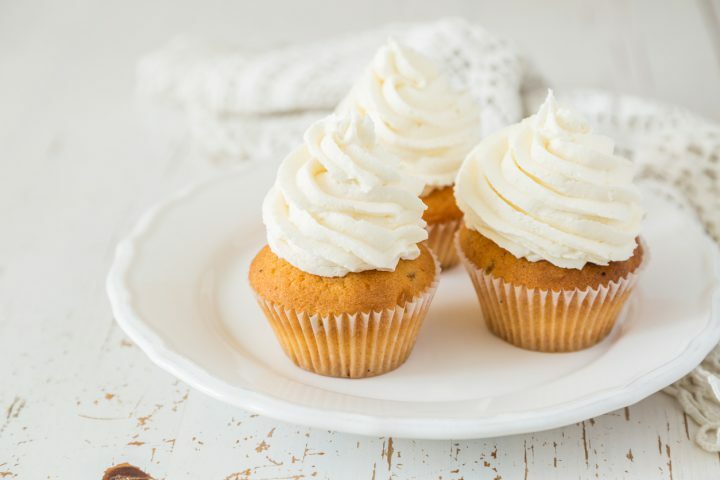 This is a great blueprint recipe for failsafe cupcakes which should be ideal for a novice to try their hand at; and a more experienced baker to adapt and elevate. Heat the oven to 180°C, 160°C fan, gas 4. Line a cup cake tin with 12 paper cupcake cases. Place the butter and sugar in a mixing bowl and beat with a wooden spoon or electric mixer until light and fluffy. Gradually beat in the eggs a little at a time until smooth, adding a little flour if the mixture curdles. Stir in the flour until smooth. Spoon into the cupcake cases and bake for 20-25 minutes until golden brown and just firm to the touch. To make the butter cream place the butter in a bowl with 1-2 tsp boiling water, add the icing sugar and beat until smooth. Place in a piping bag with a large star nozzle and pipe on top of the cakes. Decorate with sugar sprinkles.